Hamburg - Hamburger SV have completed the signing of Pierre-Michel Lasogga from Bundesliga rivals Hertha Berlin on a five-year contract. 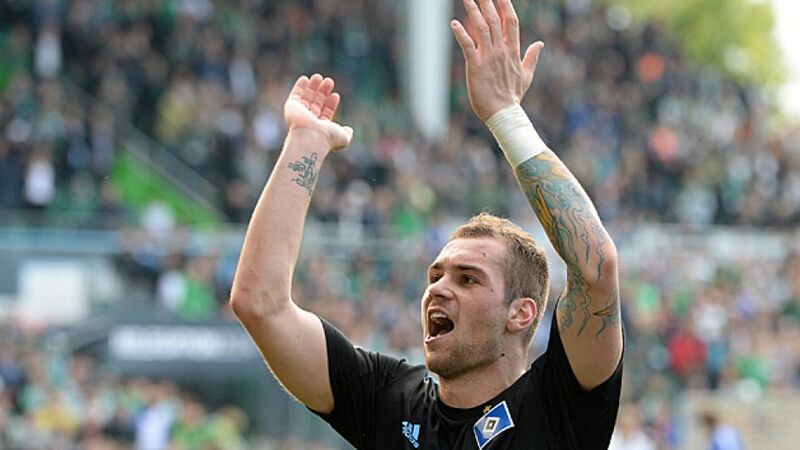 Lasogga, who spent the 2013/14 season on loan at HSV and scored 13 goals in 20 Bundesliga appearances, returns to northern Germany on a permanent basis. "It's fantastic that it's now gone through and my situation has been resolved," said the 22-year-old striker. "I'm delighted to be able to continue playing for HSV. I hope that this can be the start of a new, successful period for me. I'm pleased to be able to do my bit in helping create a new HSV." Lasogga left a lasting impression on the Red Shorts, not least with his crucial goal in the play-off against Greuther Fürth that maintained Hamburg's proud record of never having been relegated from the Bundesliga. "Pierre settled in very quickly last season and became a crucial member of our team with his excellent performances and important goals. I'm delighted that we've been able to tie him down to us in the long term," said HSV's sporting director Oliver Kreuzer ahead of the club's pre-season tour to China, which begins on Saturday and in which Lasogga will take part. Meanwhile, the club also confirmed that midfielder Hakan Calhanoglu has joined UEFA Champions League participants Bayer 04 Leverkusen, also putting pen to paper on a five -year deal.